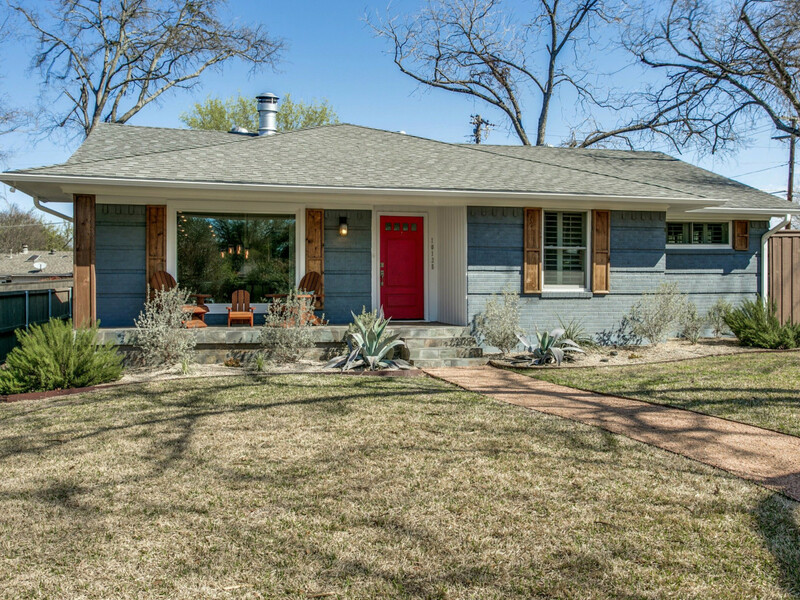 When it comes to this L Streets home, you can't turn a corner without spotting a major design trend. 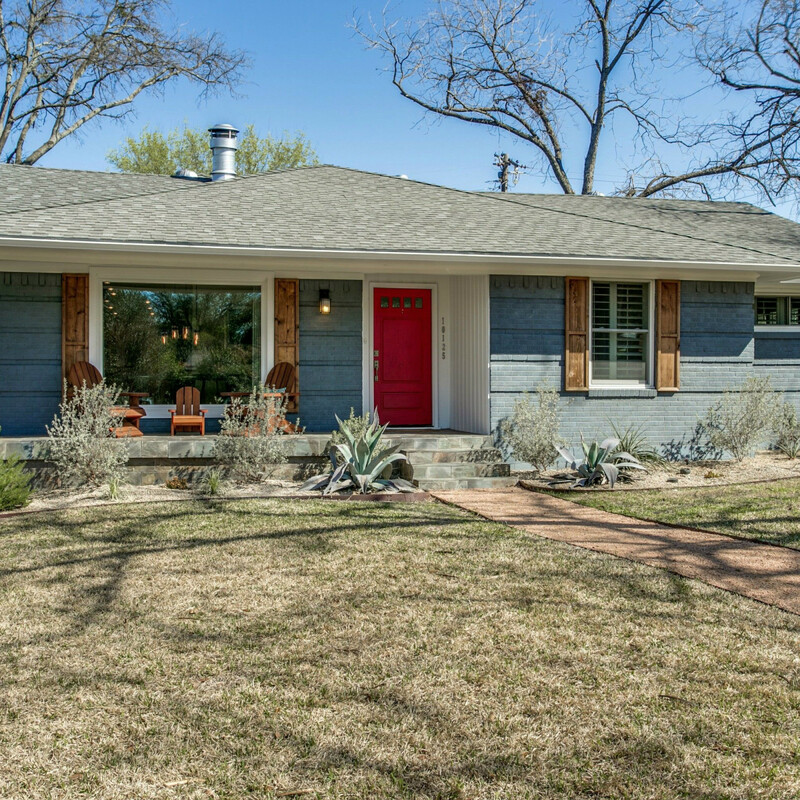 Originally built in 1959, the corner-lot charmer emerged from an elegant remodel with both of-the-moment accents and its original allure intact. 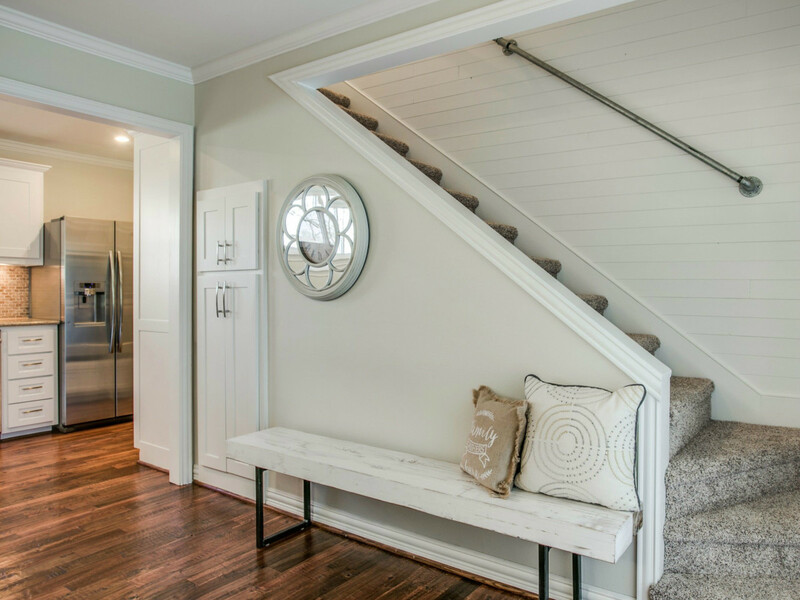 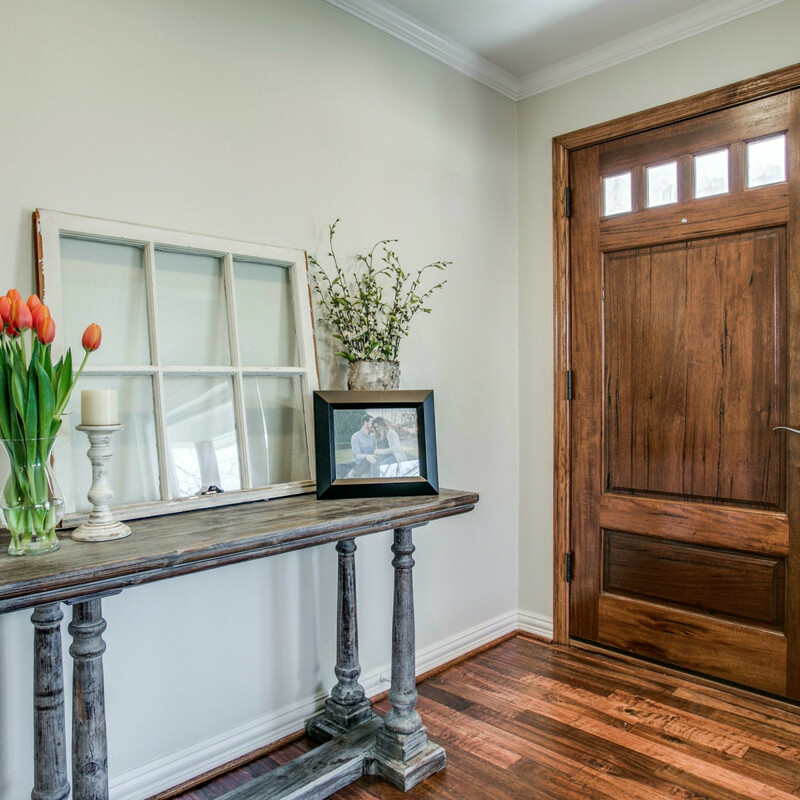 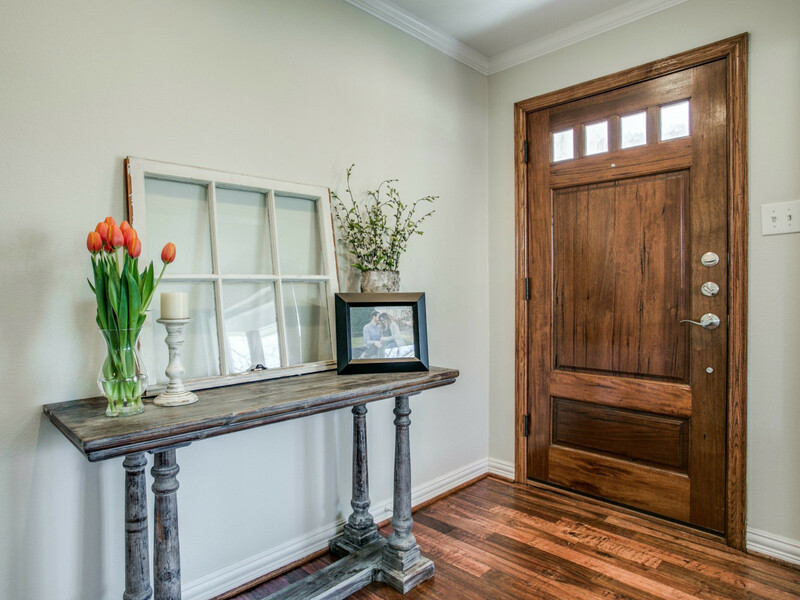 Start with the refinished hand-scraped hardwoods, which run throughout the main floor's open-plan living spaces. 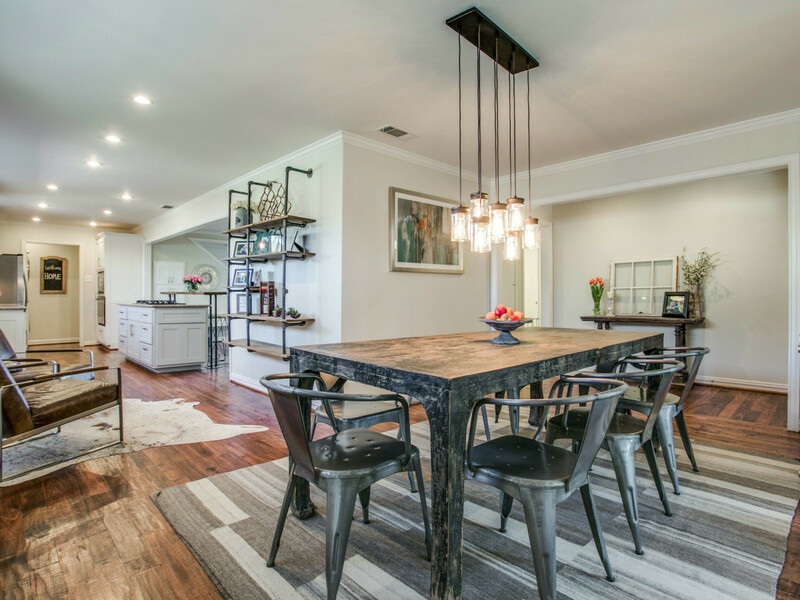 Industrial-chic touches, such as the pipe-and-beam bookcase and cluster of Edison bulb lanterns that dangles over the dining room table, are balanced by crisp white kitchen cabinets and sleek stainless steel appliances in the kitchen. 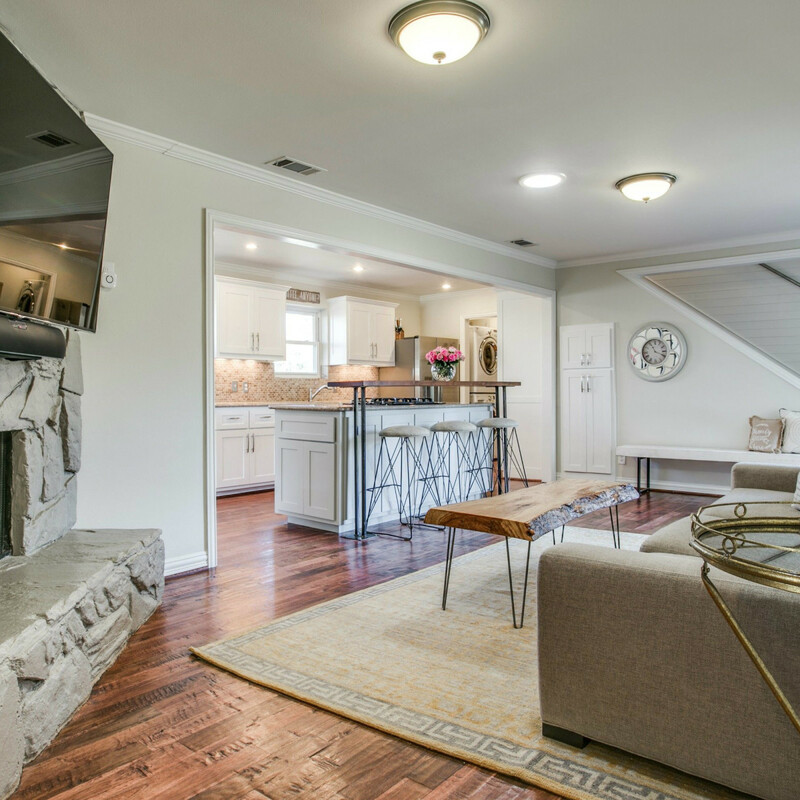 An island with bar seating holds the gas cooktop and provides a bridge between the kitchen and main living room, which is anchored by a large stone fireplace — already wired for a mounted television and sporting a gas starter. 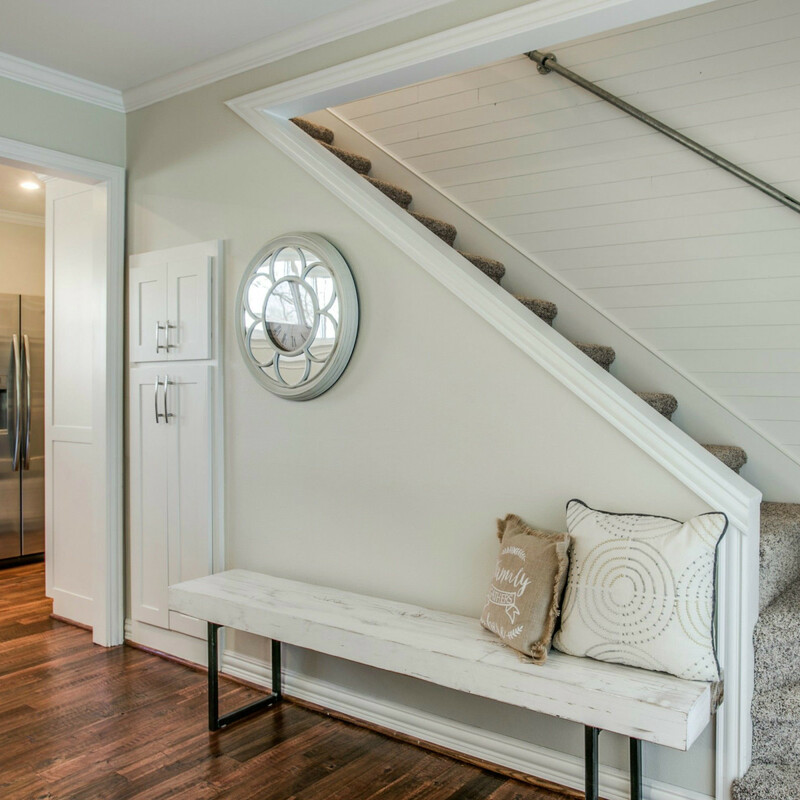 Each of the two bathrooms has been updated with gleaming subway tiles and mosaic borders, along with ceramic floors and new fixtures. 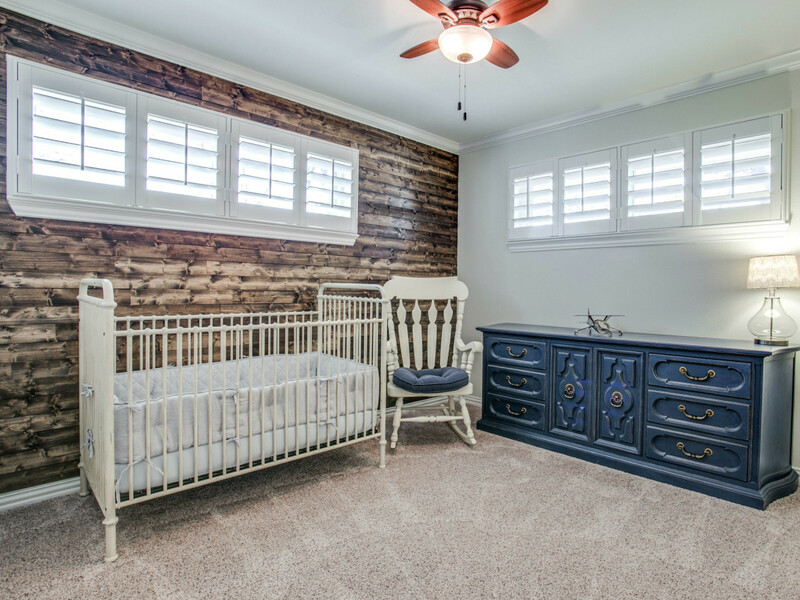 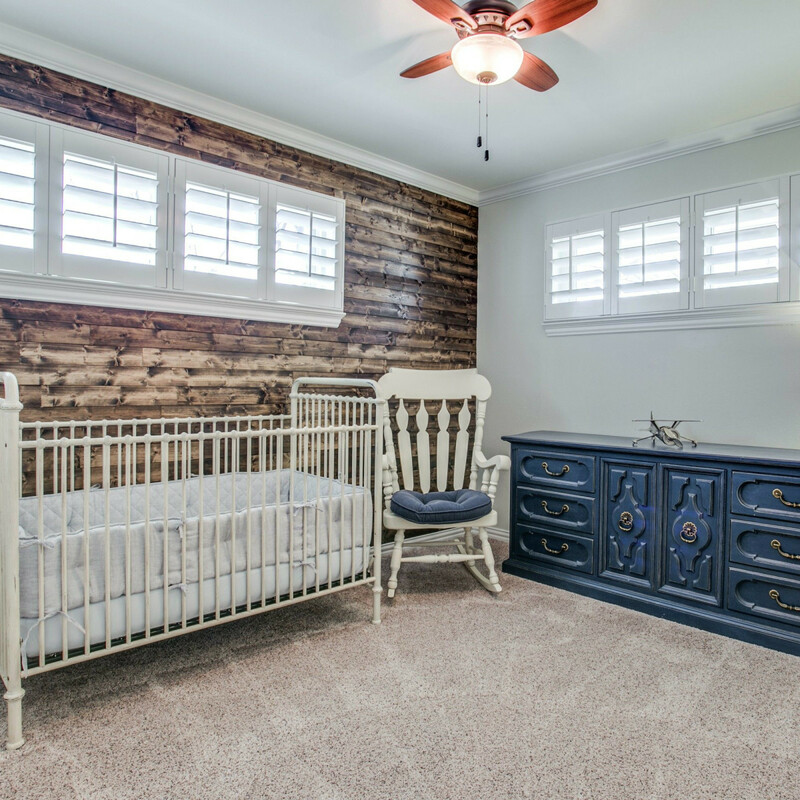 The four bedrooms are outfitted with plantation shutters, and one room even features a wall of reclaimed wood. 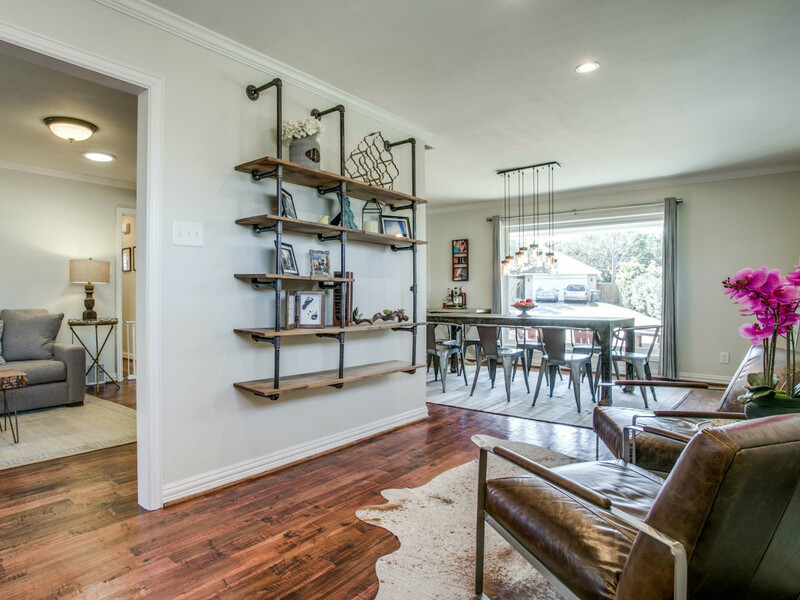 Above the garage is a bonus living room, which looks out onto the sizeable backyard with a wood deck and board-on-board privacy fence. 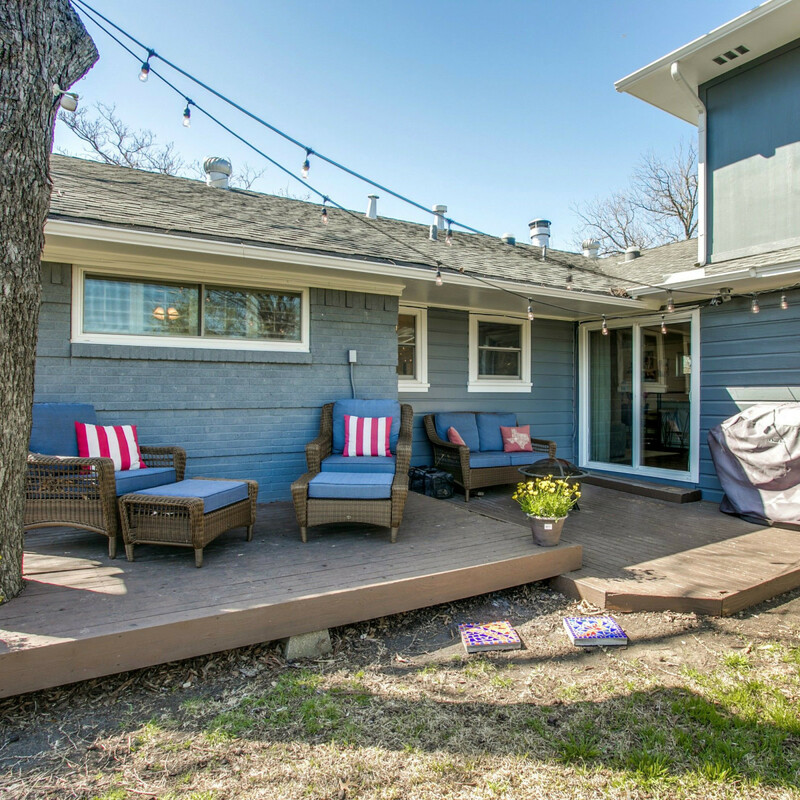 Only minutes beyond that fence lies White Rock Lake and all the shopping and dining of Lake Highlands. 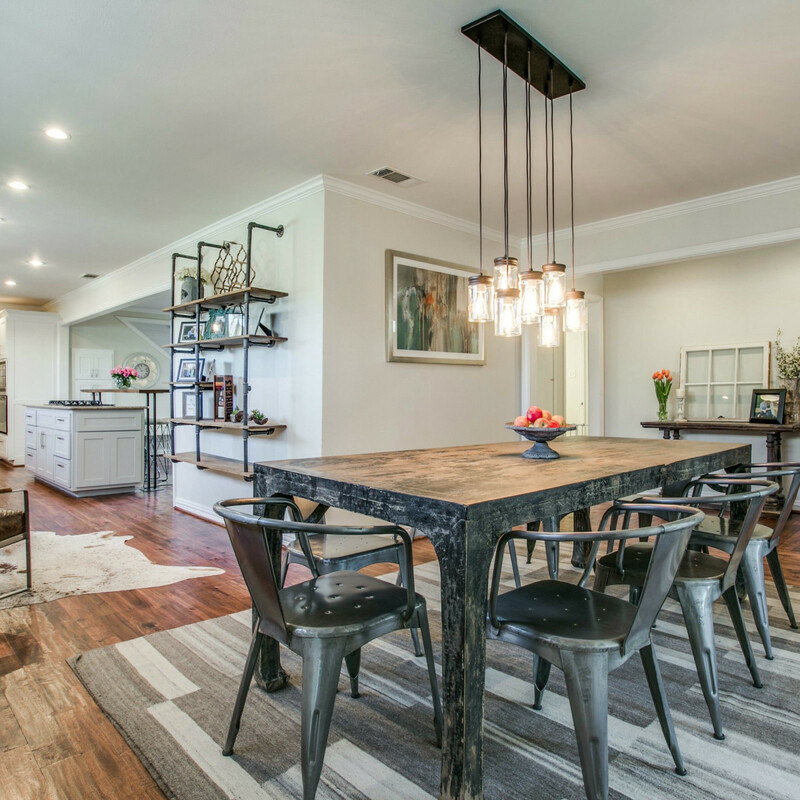 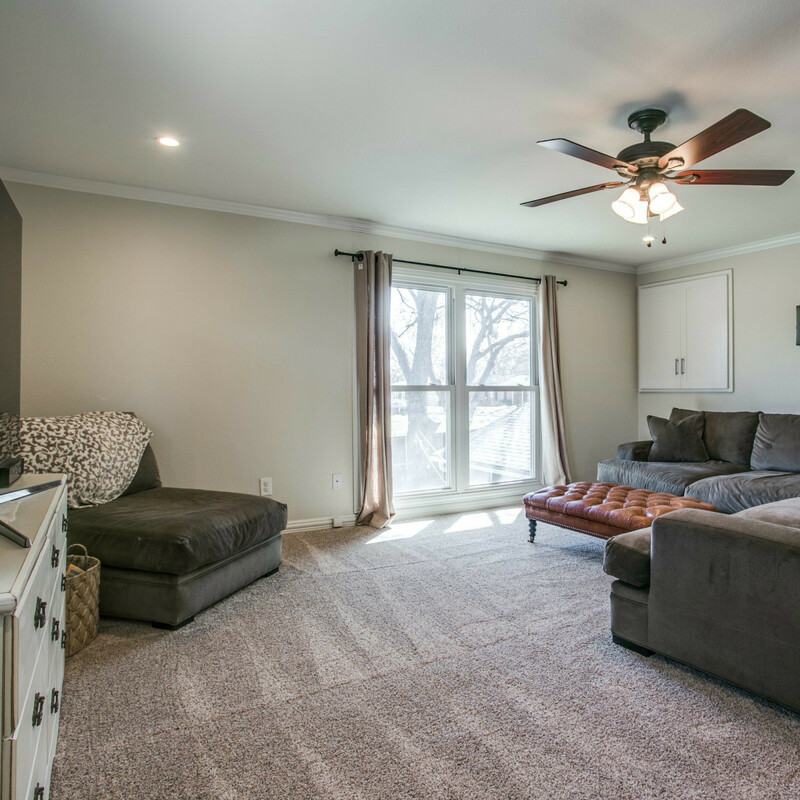 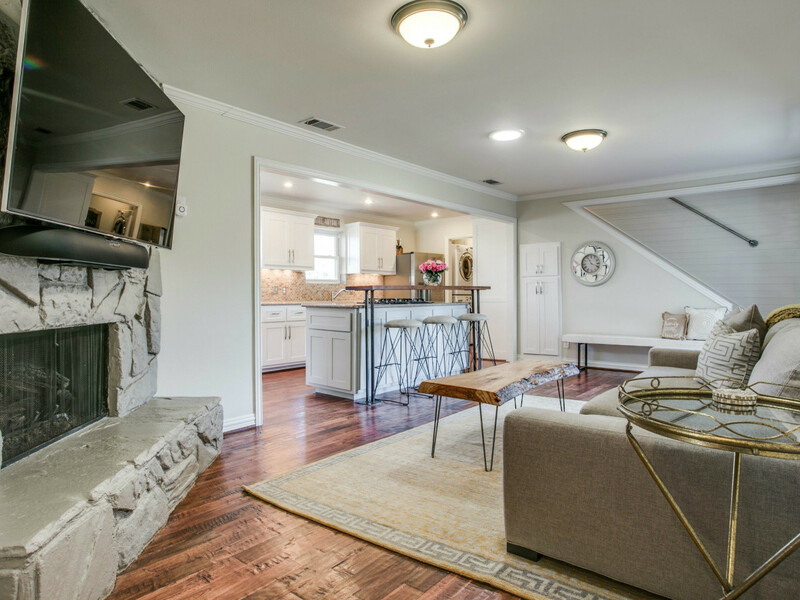 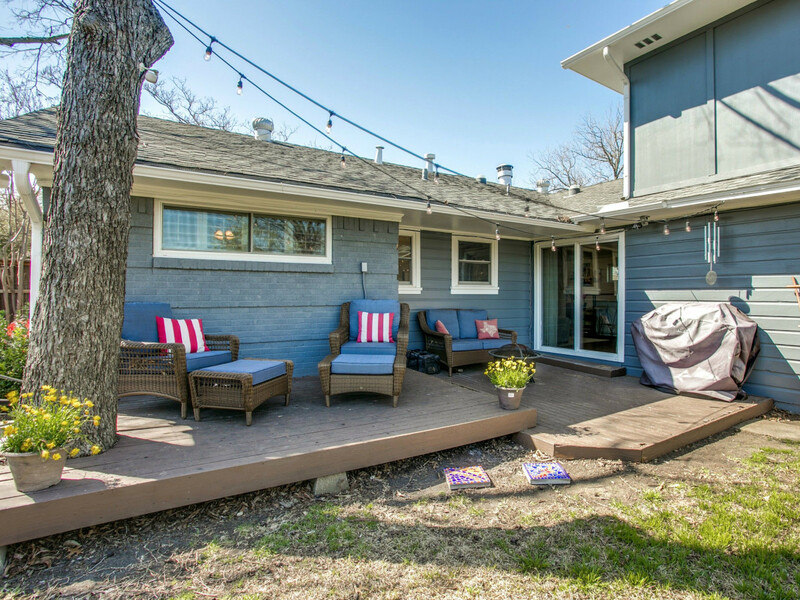 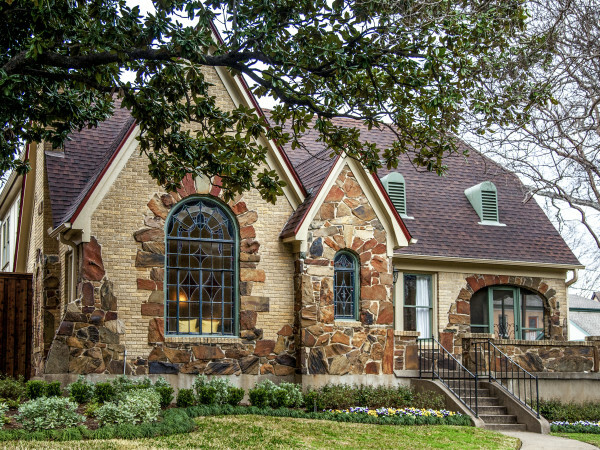 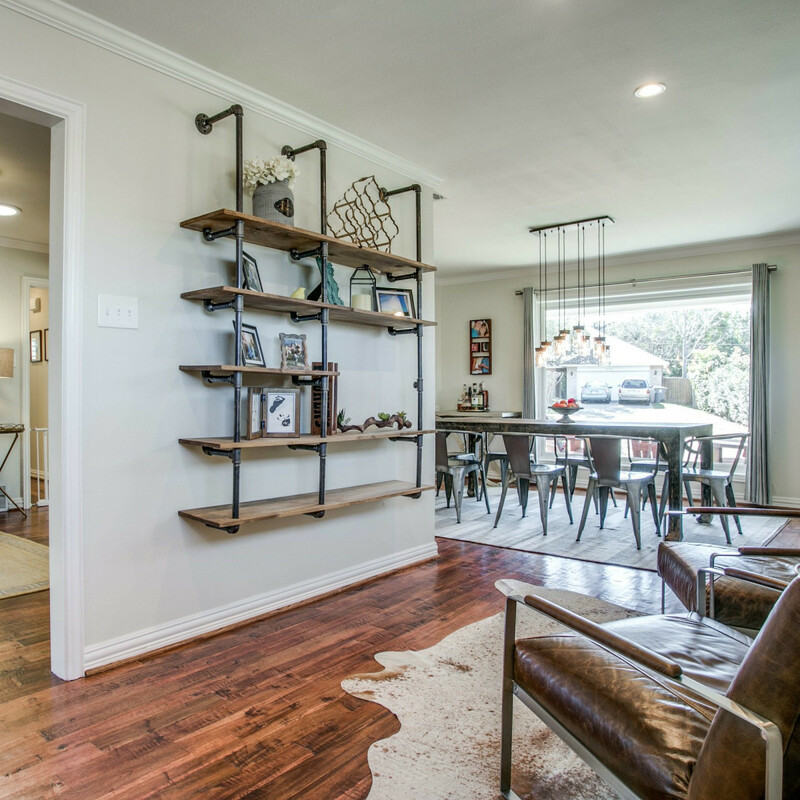 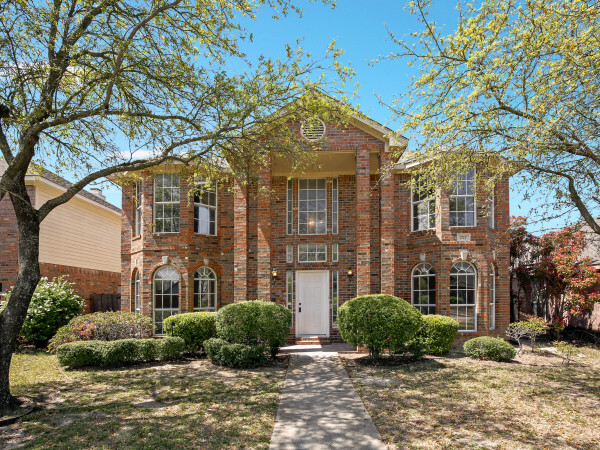 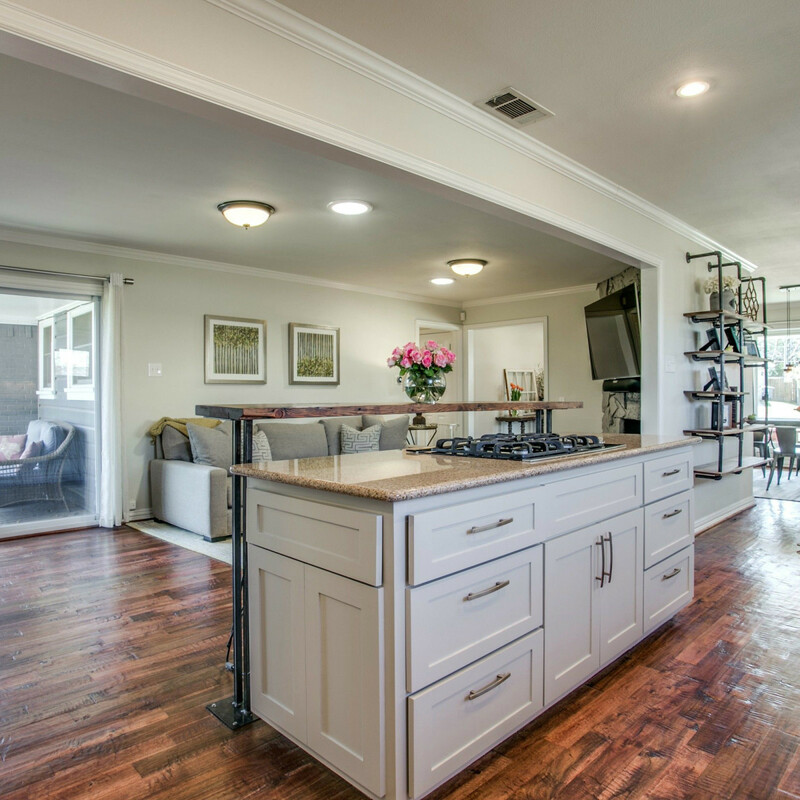 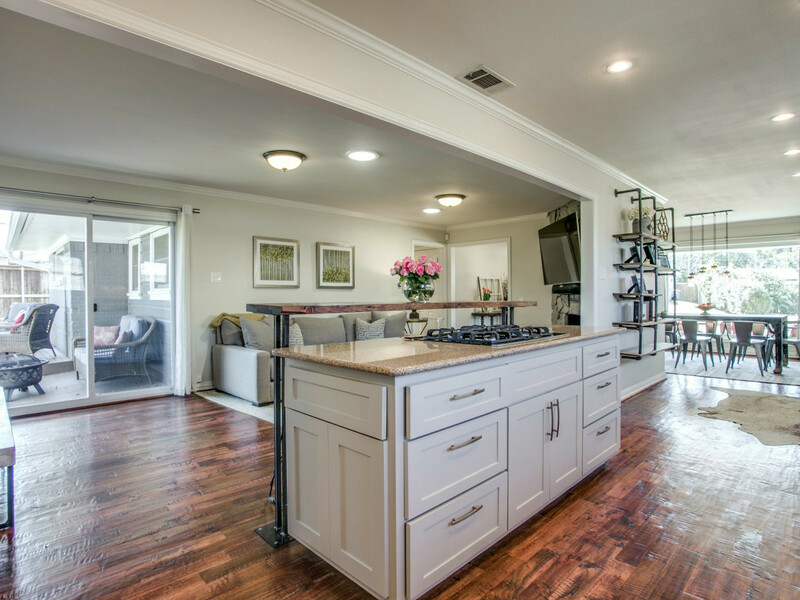 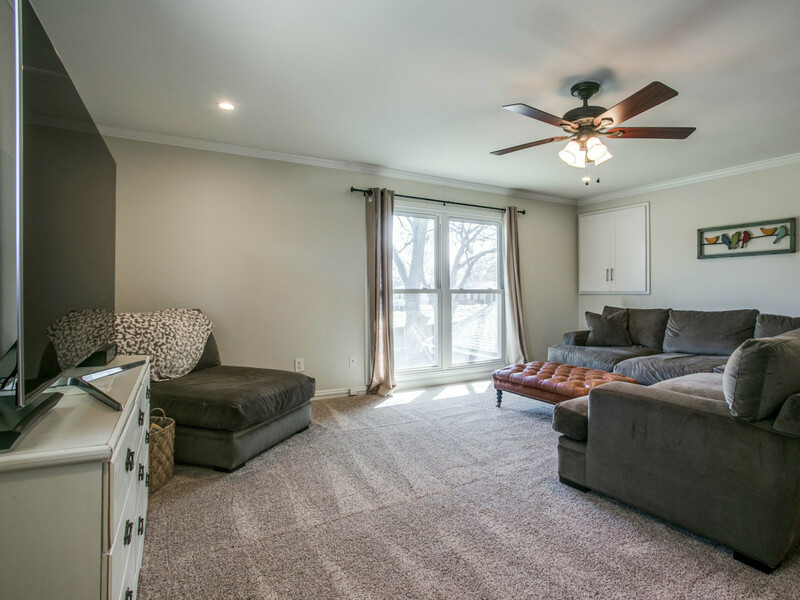 The swoon-worthy updates plus its unbeatable location in one of Dallas' most popular neighborhoods make this home, which is listed with Eric Easterday for Ebby Halliday Realtors, a steal at $419,500.